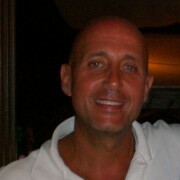 Francesco is an investment professional with strong entrepreneurial and commercial background. Former Italy Country manager for Lloyds Banking group asset management arm; co-head of Ernst & Young Consultants business and technology incubator back in 1999, in charge of business modeling and structuring, fundraising, investors’ relations; institutional equity sales manager at Merrill Lynch with focus on tech companies; structuring of complex debt capital markets products (both domestic and international market) at Istituto Mobiliare Italiano. Credit lending officer at Banco di Sicilia, New York branch. Vision; strategy setting, business and financial modeling; project management and execution; commercially astute in deal-making and multi-million contracts negotiation. Technology contaminated.